Occasionally, a problem will land on your desk that’s a little out of the ordinary. Something where you don’t have an easy answer. You go to your brain and your brain returns nothing. The very nature of these situations defies a checklist, but it’s useful to have one for the same reason we have them on planes: even the best of us can and will forget things, and a checklist will provvide you with places to dig. I know, I hate it too. I also want to be right and dig these things out. But in six months’ time, when you’ve solved twenty complex SEO rabbit holes and your website has stayed flat because you didn’t re-write the title tags, you’re still going to get fired. But hopefully that’s not the case, in which case, onwards! Pick a couple of example pages to work with — ones that exhibit whatever problem you’re seeing. No, this won’t be representative, but we’ll come back to that in a bit. Of course, if it only affects a tiny number of pages then it might actually be representative, in which case we’re good. It definitely matters, right? You didn’t just skip the step above? OK, cool, let’s move on. Country: The mobile testing tool will visit from US IPs, from what I’ve seen, so we get two birds with one stone. But Googlebot will occasionally crawl from non-American IPs, so it’s also worth using a VPN to double-check whether you can access the site from any other relevant countries. To see what Google is seeing, we’re going to need to get log files. At this point, we can check to see how it is accessing the page. If Google isn’t getting 200s consistently in our log files, but we can access the page fine when we try, then there is clearly still some differences between Googlebot and ourselves. What might those differences be? By searching for a specific phrase on a page, e.g. inurl:example.com/url “only JS rendered text”, you can see if Google has manage to index a specific snippet of content. Of course, it only works for visible text and misses a lot of the content, but it’s better than nothing! This excellent talk, How does Google work – Paul Haahr, is a must-listen. Google does respect JS canonicals – For example, Eoghan Henn does some nice digging here, which shows Google respecting JS canonicals. How does Google index different JS frameworks? – Another great example of a widely read experiment by Bartosz Góralewicz last year to investigate how Google treated different frameworks. This could be intentional duplicate content (e.g. syndicating content) or unintentional (competitors’ scraping or accidentally indexed sites). To give an example, if you are a reseller, you might find content isn’t ranking because there’s another, more authoritative reseller who consistently posts the same listings first. 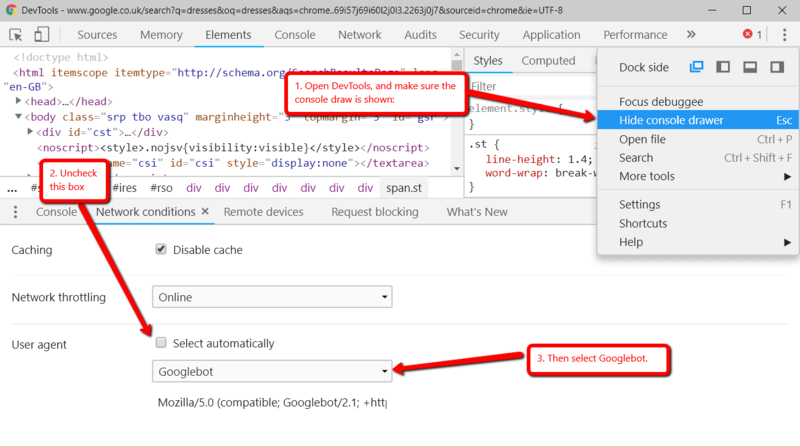 You and Googlebot might be seeing the same HTML, but it might be invalid or wrong. Googlebot (and any crawler, for that matter) has to provide workarounds when the HTML specification isn’t followed, and those can sometimes cause strange behavior. 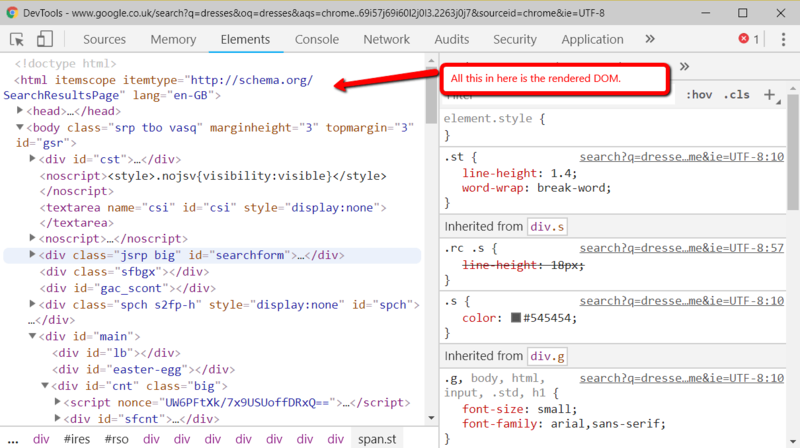 An iframe isn’t allowed in the head code, so Chrome will end the head and start the body. Unfortunately, it takes the title and canonical with it, because they fall after it — so Google can’t read them. The head code should have ended in a different place. 302 to http://www.client.com – The blog server doesn’t know about the HTTPS non-blog homepage and it redirects back to the HTTP version. Rinse and repeat. What are the best brainteasers you’ve had?